Around 250 of the proven cruiser / racers were built between 1990 and 1996. 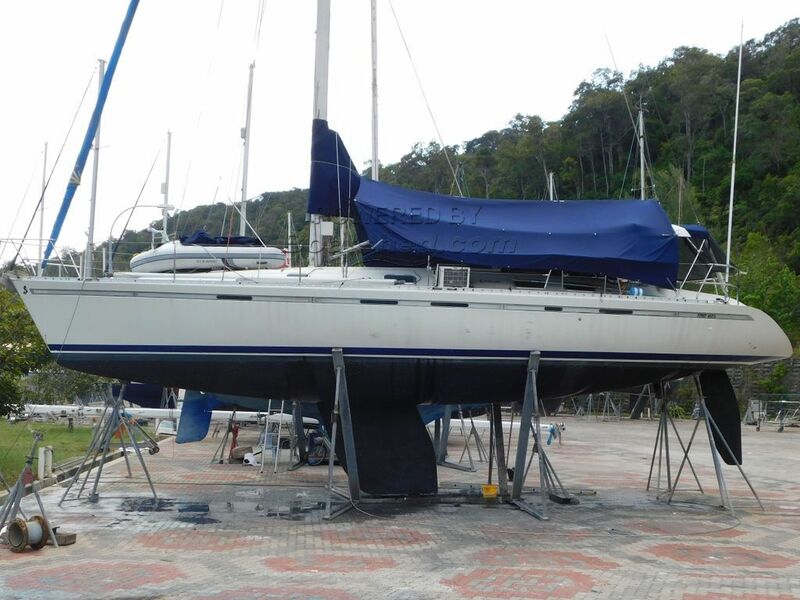 The current owner purchased this one in 2004 then between 2005 – 2007 cruised her and raced in the Raja Muda Regatta. In 2008 he sailed her sailed across the Indian ocean to South Africa and in 2009 Raced in the Cape to Bahia ( across the South Atlantic ), finishing fifth in racing class. 2012 saw the completion of a circumnavigation via the Panama Canal, across the South Pacific and back to Malaysia via Australia. A recent marriage and the birth of a first child means no more time for sailing ! As is common with this model, she had some blisters and in 2005 had a complete osmosis job performed by Precision Shipwrights in the Boat Lagoon Marina Phuket. 4mm of affected glass was peeled from entire hull (under waterline), which was then allowed to dry for six months before being rebuilt with new glass and West Systems epoxy. Then in 2016, again in Phuket Boat Lagoon. She had new canvas, engine maintenance, the entire toe-rail was removed and resealed, new stanchion bases (stainless steel) and guard wire, new 2.6m hypalon dinghy, new saloon floor boards, the keel bolts were tightened and she was antifouled.